What you eat can affect how your body functions. To maintain optimal nutrition, a variety of healthy food from all food groups and healthy eating habits can keep you on the road to better health. Food, one of life’s great pleasures, is the foundation to a healthy lifestyle. 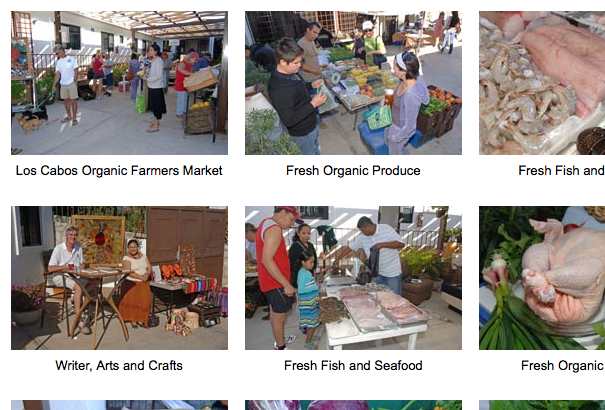 The Cabo San Lucas Organic Farmer’s Market has an amazing variety of fresh produce, seafood, organic chicken, eggs, cheeses, herbs and fruits, along with a selection of prepared foods. 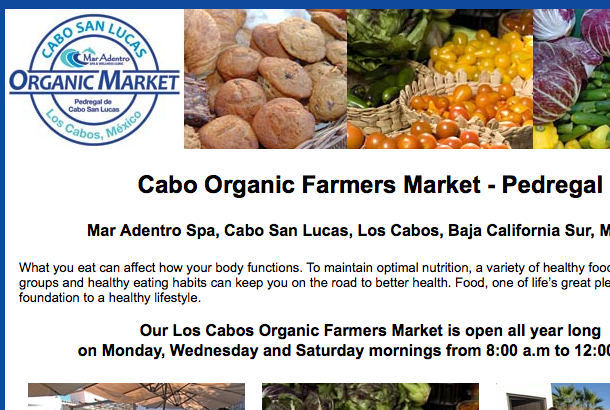 It’s a happening place on Wednesday and Saturday mornings from 8 a.m. to noon where you can meet up with friends, shop for the best organic foods, and make your appointments for the coming week for the various services.